If you haven't been to Sal's Pizza, you should. It's probably the best and freshest pizza I've ever had in my life. And luckily it's several blocks from my house. Everything they use in their restaurant is farmed and raised within a short radius of the restaurant. It's amazingly fresh. So fresh you can take the freshness of the milk in the cheese and the plumpness of the tomatoes in the sauce. 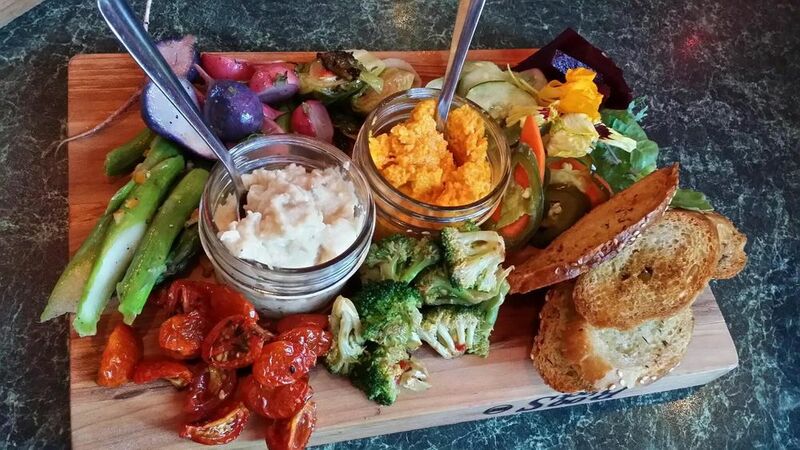 Take the vegetable antipasto above. It's just overwhelmingly delicious and beautiful you thought they slaved days over the dish. Yet it's literally right from the market that day with a little of Sal's magic touches and pickling. The carrot pate in this antipasto is something you will not forget and also not really figure out how they did that so well. The burrata is also my favorite and it always sells out so come early to get this tasty bit of cheese heaven. 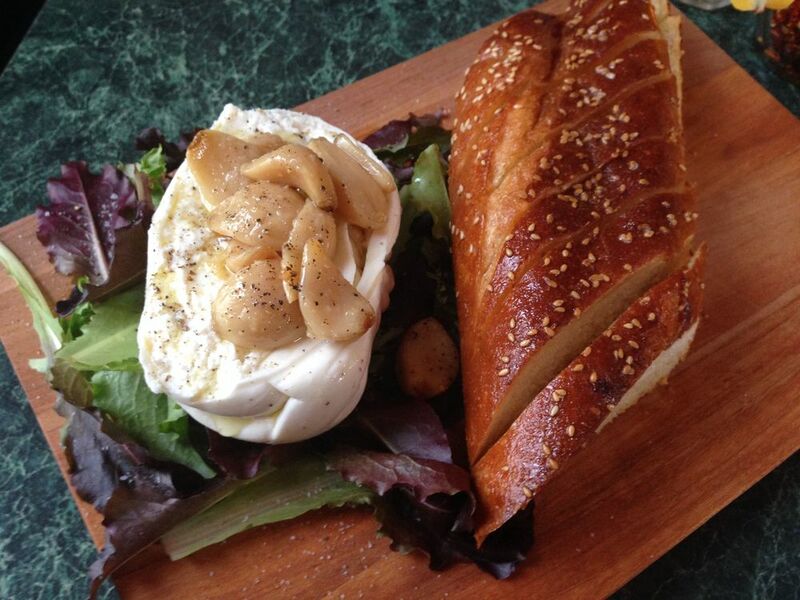 They top their fresh made burrata with roasted garlic and place a side of warm, crispy bread. And last but not least the pizza. It's eye tearingly good. I think I cried a little the first time I tried their fig and bacon pie. It comes with Cabernet poached mission figs, gorgonzola, balsamic reduction and bacon! It's won a lot of awards and after your first bite you will know why too. The Fat Uncle Tony is also the best of meat on a pizza. All locally cured of course! I'm a real crust snob and this crust if perfectly crisp and chewy with a bit a char from the oven-as all good East Coast pizza's should be. Overall, Sal's is a must stop (if not many) for all visitors and residents of the Madison area. Tory Miller from our famed L'Etoile restaurant said that Sal's is the best restaurant in the Madison area. I also agree! I am pretty certain that these guys deserve a James Beard Award.